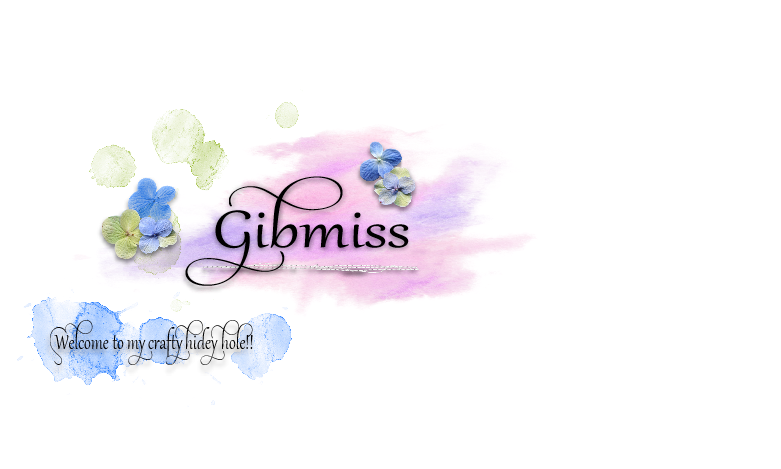 Gibmiss: Less is More Take Three!!!! I have scrolled down your blog and I have to say you have done some wonderful cards ...all gorgeous! Love your card, the decoupaged clouds are a geat idea, looks perfect with your little red plane. 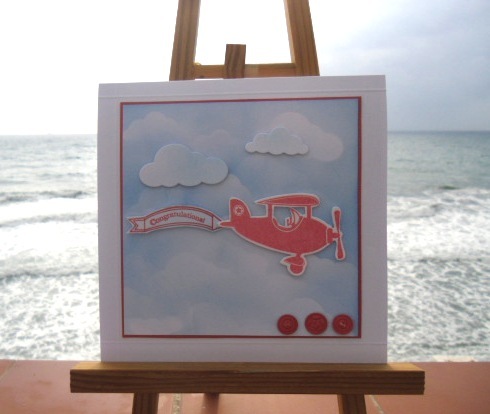 Such a fun card Sylvie, love the little red plane! I'll be at Ally Pally so will keep a look out for you, are you going Saturday or Sunday? Not a lot of white space left on this one Sylvie, but it's a superb little scene and such a pretty card. Oh my Sylvie! This is just adorable! It would be so perfect for one of my many grandsons!!! I love that little airplane...maybe I should go shopping?! Lovely Sylvie! 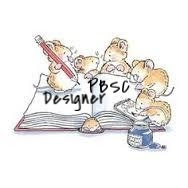 I love the little scene you've created! Love your fabulous card Sylvie, not sure if I going to Ally Pally yet. hi sylvie!! what a cute, cute card!! love it!! 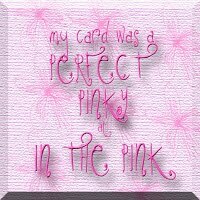 Oh Sylvie - this is such a fun card! I do like the cute plane! Hoping to get to Ali Pali...can only make the Sunday tho! What a lovely background and a fun card!